VirtualPBX has been around since 1997, and they seem to have ironed out many of the kinks of VoIP services since its inception. Its service is reliable, and its features are strong, particularly compared to a landline. VirtualPBX stands out among its competitors due to its advanced set of features, which come at a reasonable price. Many VoIP providers offer basic voicemail and call-routing functions, but VirtualPBX’s systems include a few important extras such as virtual fax, music-on-hold jukebox, and integrated conferencing. VirtualPBX is a feature-rich, cloud-based phone system that routes business calls over the internet. You’ll have access to everything from call recording to voice messaging, enabling your business to run at maximum efficiency. VirtualPBX is also one of the more affordable business VoIP providers out there, with three unique plans to fit your particular business needs. Plus, because pricing is not based per person, the more users you have on the system, the more affordable the plan. Setting up VirtualPBX in your office is easy. Clients are provided with internet phones that you can just plug right in. If you still need the help though, their concierge service can handle everything. Compare phone system prices today to find the best VoIP deal for your business. When it comes to installing a new phone system, there’s nothing more daunting than the installation. 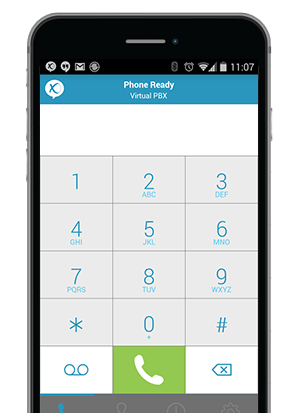 VirtualPBX knows that, which is why they provide their customers with ready-to-go internet phones right off the bat, so you can just plug them in and get started. No waiting around for installation, no complicated process, just set them up and you’ll be on your way to better business communication. There’s nothing worse than having phone calls go unanswered. To make sure someone is always on the line, ACD Queue intelligently assigns calls to the correct department and the right time so you never miss a customer complaint or concern. 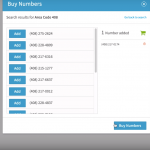 The easy to use interface will make it simple to assign calls as necessary. You’ve heard it before and you’ll hear it again: “This call is being monitored for customer assurance.” VirtualPBX gives managers the option to record all the calls that go through the system. You’ll be able to monitor your customer support team’s demeanor with clients while making sure the sales team is making those pitches right. You can disable the service whenever you like as well, just in case. In the mobile age of today, not being able to access your phone system with smartphone would be outrageous. 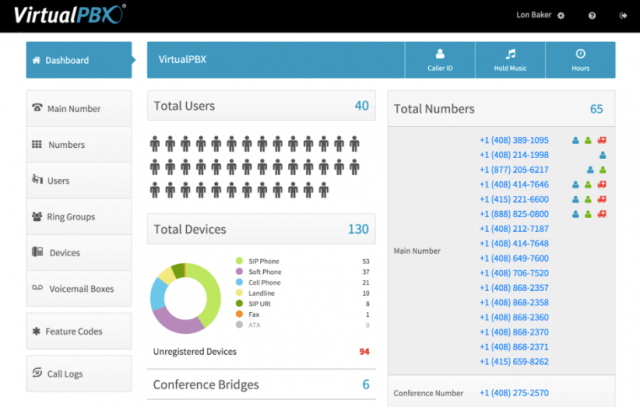 Fortunately, VirtualPBX not only allows users to take business line calls on their mobile devices, it also allows you to monitor the entire system from an easy-to-use app. 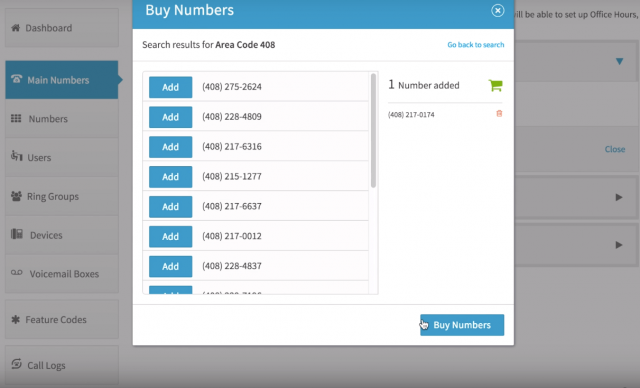 You can keep track of users, devices, calls made, and a wide range of other analytics. PBX Parachute is VirtualPBX’s remote backup system that works like a charm. It can be added to your VoIP plan as a way to ensure your phone service and the integrity of your data. In the event of a system failure, Parachute redirects calls to safe alternate destinations, like cell phones. As they put it, “there is no hardware to boot, no software to run, and no data to move.” Your data will be 100% ready to go even in if your on-site PBX completely fails. Now that’s what we call peace of mind! There’s nothing more frustrating than feeling behind the times when it comes to your business. 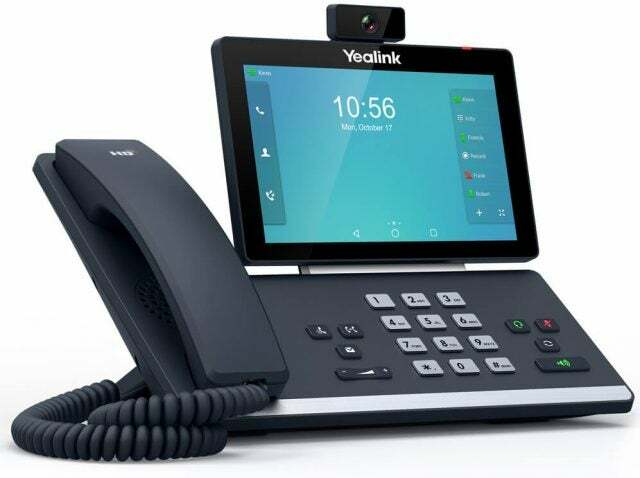 But upgrading from a traditional phone system to VirtualPBX means taking advantage of the latest technology and opening your business up to a wide range of helpful features. 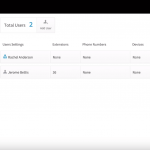 This VirtualPBX video demonstrates the control you’ll gain. And automated processes and data-informed decisions won’t just make your business run smoother; it’ll improve your bottom line. One of the primary selling points of VirtualPBX is how easy it is to set up. Rather than have a complicated installation process, VirtualPBX sends over internet-enabled phones and you can plug them right in. In the event that you’d like some help with installation, their concierge service will strategize with you about the phones, set them up for you, and review everything later to make sure it’s still working properly. However, the customer support side of VirtualPBX leaves clients wanting. Multiple reviewers have insisted that despite the 24/7 hours, it’s very difficult to get a hold of the VirtualPBX customer support team, and that many requests take weeks to get resolved, if at all. If you’re worried about a lot of problems arising with your phone system along the way, be sure try out the free demo before making a decision. VirtualPBX pricing plans come in three tiers: Basic (from $11.99 per user per month), Pro (from $24.99 per user per month), and Unlimited (from $31.99 per user per month). The primary difference between the three services is the number of minutes you’ll be able to use without incurring additional fees. The Basic plan allows for 1000 minutes, the Pro plan allows for 2000 minutes, and the Unlimited plan, you guessed it, allows for unlimited calls within the continental US and Canada. 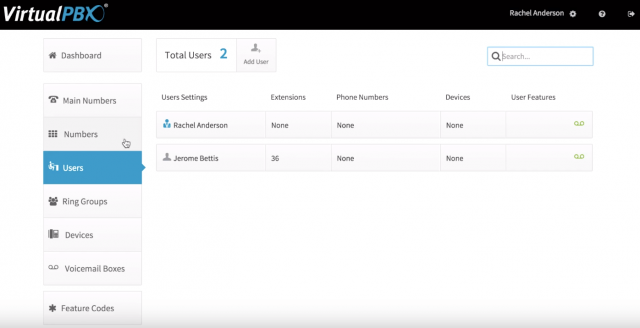 All plans come with unlimited VoIP minutes between system users, along with basic features like call recording, audio conferencing, and access to the VirtualPBX app. Each plan can also be customized to add additional features, depending on the needs of your business. It’s hard to know exactly how much your business will need to pay for a service like VirtualPBX, as the many features, pay plans, and other add-ons can muddy the waters a bit. Fortunately, you can get a customizable VoIP quote for your company now using our price comparison form. Budget Dumpster faced a good problem. Within a year of its founding, the dumpster rental company that started as a 3-person operation dramatically expanded its business. However, with more clients came a much heavier demand on the company’s hosted phone system. As a result, potential customers couldn’t get through, and the company lost business. After trying and failing to find a suitable replacement system, the company discovered VirtualPBX. Its demands centered on flexibility, affordability, and power to handle thousands of calls. The dumpster company noticed an immediate benefit. With its rapidly growing business, it could easily add lines and phones for new employees. Meanwhile, the call recording feature became useful for training and customer service, and with the ability to measure call volume, it could identify which facets of its business weren’t performing as well, and consequently re-allocated marketing funds. 247 Techs couldn’t survive without a reliable phone system. The group of web developers and tech specialists offer support to consumers, as an alternative to brand-backed support services that require monthly fees and contracts. The company’s employees work from home and are dispersed throughout the country, so its office is virtual and runs completely over the phone. With a workforce of only around twelve, installing a traditional PBX system would’ve been costly and extremely difficult for just a select few to implement. As an alternative, it turned to VirtualPBX, which allowed 247 Techs to deploy a VoIP service at much lower financial and technical costs. Additionally, it allowed the company to scale up and down with seasonal volume, and management to optimize the system so it works wherever employees are located, as long as they have an internet connection. If you’re a small to medium sized business looking to improve the outdated communication practices of your business, getting VirtualPBX is a good choice. It’s customizable, it’s affordable, and it comes with plenty of features. The customer support system isn’t great, despite the 24/7 staff, but VirtualPBX is still easy to use and set up, and will make your life much easier when it comes to your business line. Is this the best VoIP provider you could choose? That really depends on your business needs. Get matched to suitable, industry-leading providers and compare prices with Tech.co’s simple 1-minute form. Just click on the button below. with our free VoIP comparison tool.